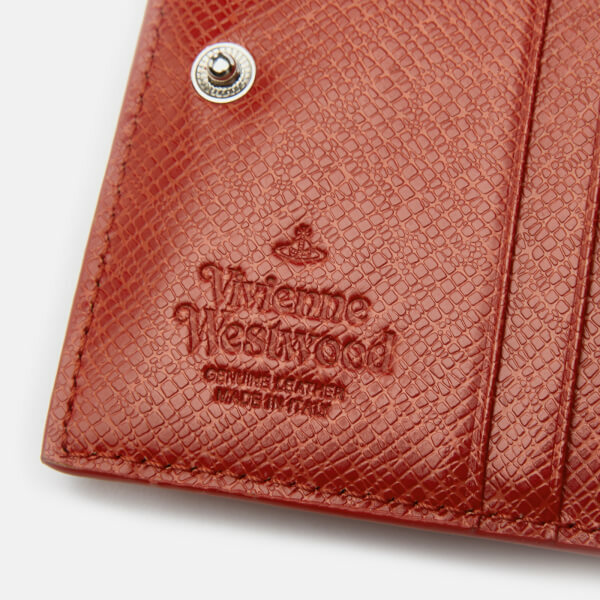 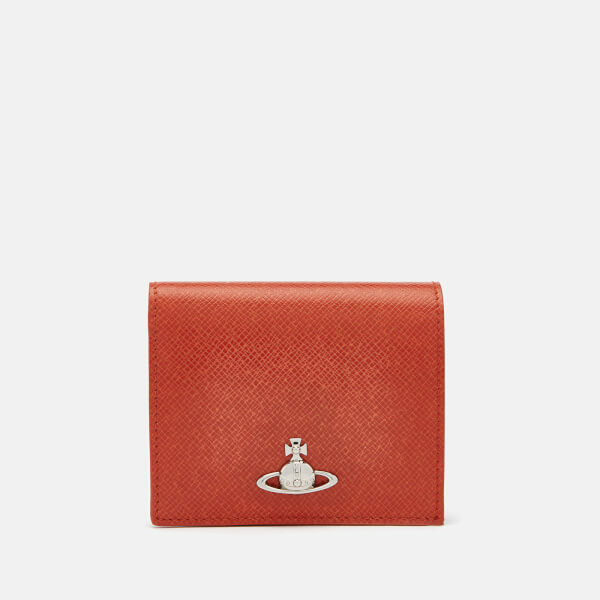 Orange leather bi-fold wallet from iconic British designer Vivienne Westwood’s eponymous label. 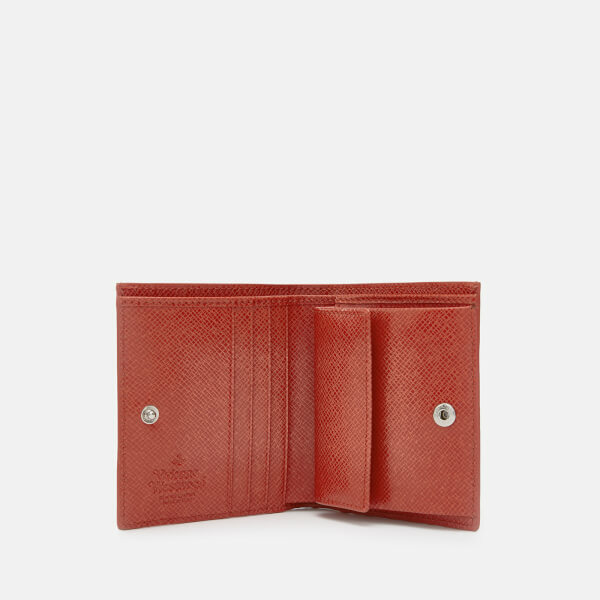 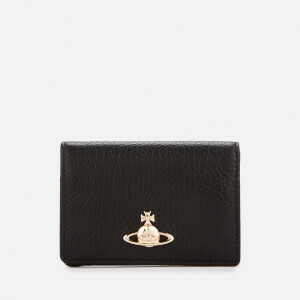 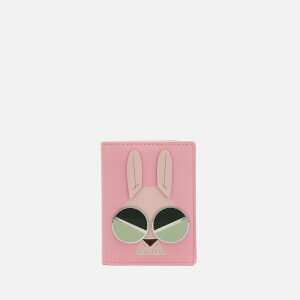 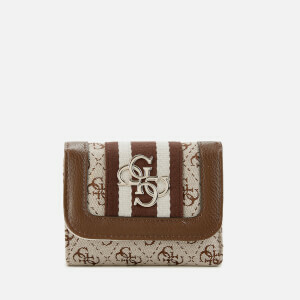 Adorned with a metal appliqué 3D Orb logo on the front, the wallet opens to reveal a full-length banknote slot lined in the brand’s signature squiggle-patterned fabric, three card slots, two slip pockets and buttoned flap pouch for loose change. 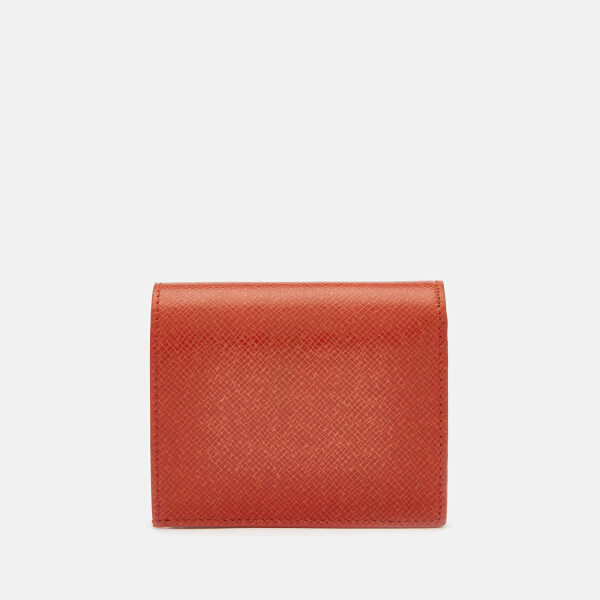 A concealed press stud secures the wallet’s contents when closed.